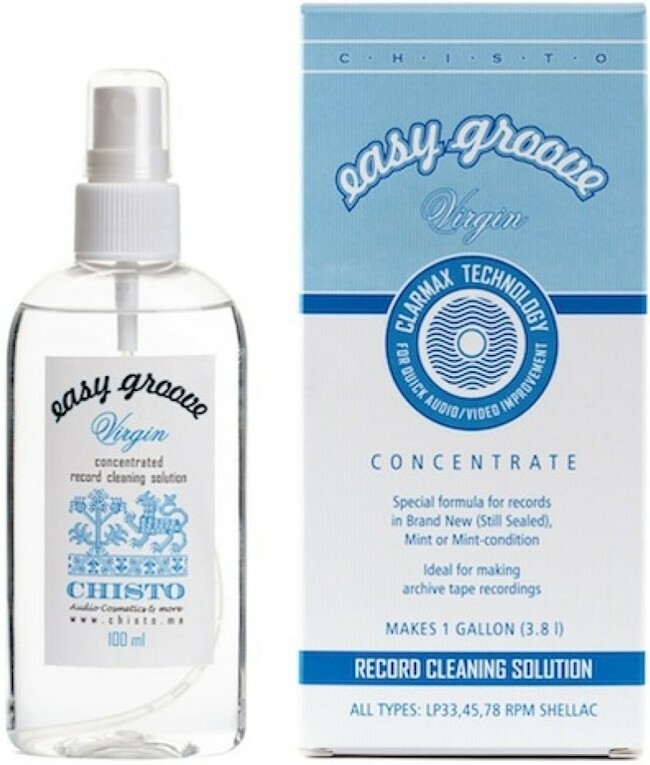 Chisto designed this specially formulated cleaning solution specifically for brand new vinyl records. This makes it ideal for cleaning prior to that very first play and perfect for archiving your new records. The gentle and efficient formula means your records will be in mint condition and the concentrate means that this little 100mm bottle can make up a gallon. Whilst it can be applied manually, we recommend use with a record cleaning machine. 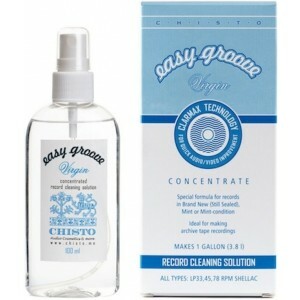 Mix 100 ml of Easy Groove Concentrate with 1 gallon of distilled water. Wait for 15 minutes to dissolve properly. Use it in accordance with your vaccum record cleaner manual.